You deserve a healthy, beautiful smile, one you feel confident sharing. 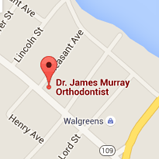 Dr. Ben Murray, Dr. James Murray, and our team would love to help you develop that smile. Murray Orthodontics offers patient-centered care, tailored to your unique needs. Our doctors use leading-edge technology and treatments that are efficient and create lasting smiles that change lives. Before starting any treatment, we’ll review the plan with you, so you can make an informed decision about your smile care. We treat patients the way we want our family members to be treated: with professionalism, compassion, and respect. Our orthodontic team members are experienced, warm, and friendly. We enjoy getting to know each patient on a personal level, building wonderful and lasting friendships. We look forward to getting to know you, too, while helping you realize your smile dreams. Complimentary consultations are available at our Sanford and Kennebunk, ME orthodontic offices. Please contact us and schedule a consultation for yourself or your child, today. 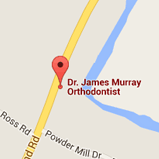 The doctors and team at Murray Orthodontics look forward to welcoming you to our practice. We can’t wait to start you on the path to a confident, beautiful smile, one you’ll love for a lifetime; call today!